Quick prep time for your lunch or dinner! Try this perfect solution for sandwich time, whether panini style or regular grilled cheese, etc., for your family or friends. 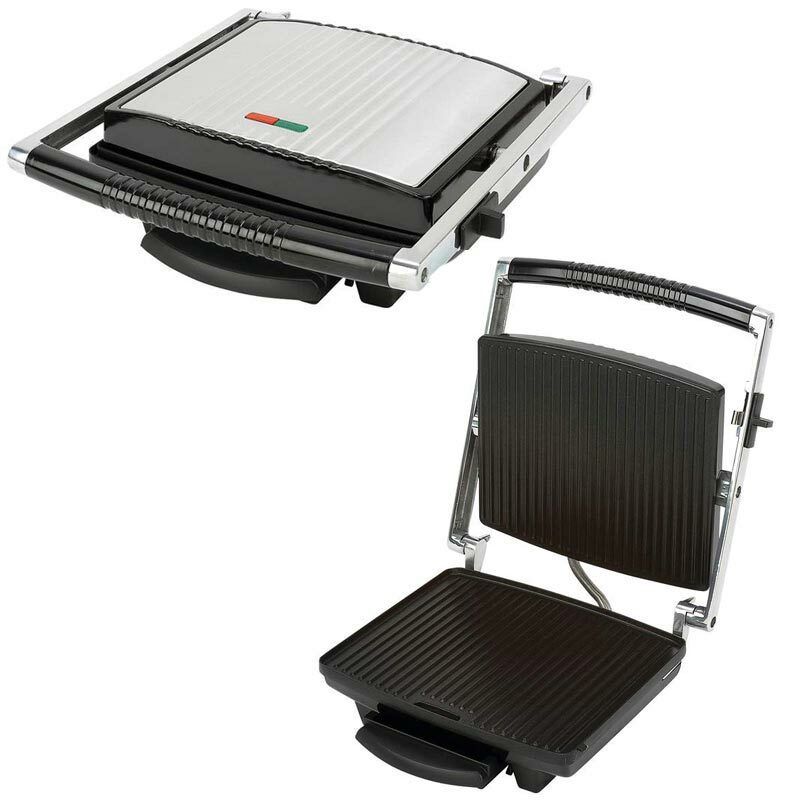 The Maxam 4-Slice Panini Sandwich Grill will cook your family favorites to perfection. Nonstick coated grill surface Provides easy removal of sandwiches from panini grill, and easy cleanup after cooking is completed. Large size Allows grilling of up to 4 sandwiches at the same time. Drip tray Catches melted and juice drips. Ready light indicator Lets you know when this electric panini press is hot enough for grilling. Gift boxed is perfect for giving as a gift for bridal shower, wedding, birthday, or housewarming gift.